Capability of modern day, top of the line cremation system capability is an average 67.5 minutes. Document supplied at request. Calculate (60 minutes + 75 minutes = 135 / 2 = 67.5 minutes average). Assume 1,440 minutes in a day, 24 hours. (72– 16 = 56) 56 more modern day units required to achieve 1,536 body count. Results from Crema 1 plus Crema 2 and 3 plus Crema 4 and 5. (10 + 105 + 56 = 171) 171 more modern day cremation units required to achieve 4,756 corpses processed on June 28th 1943. Those things that make you go hmmm? Well yes, Bonniwell, we all required to believe that 'The Nazis' could perform feats of magic. However, that fake document has been debunked with ease. And of course there's no human remains as alleged to be found. (b)Letter register number has a secretary or typist working for the man who dictated the letter (Jenisch) whose initials ("/Ne.") are not found on any of the other 58,000 documents surviving in the Auschwitz Construction Office archives. (c)The rank of Dr. Kammler is given wrongly: SS-BrigadeFuehrer und Generalmajor instead of: SS-BrigadeFuehrer und Generalrnajor der Waffen SS. Such an error is not found on any other genuine document whatever. (d)The reference number "31550" appears to have been typed in at a later date, possibly after somebody ascertained a suitable in sequence number to give to the fake document. (f)Furthermore, the document refers to some crematoria which were at that time shut down, and to others that were due to be taken out of commission. Crematorium II was in service from March 15 to 24 and July 18 to December 31, in. 1943; Crematorium III from June 25 to December 31; Crematorium IV from March 22 to May ICI Crematorium II and IV were apparently 'down' at the date of the alleged document; and Crematorium I was taken right out of service soon after for conversion to an air raid shelter." bonniwell2923 wrote: Capability of modern day, top of the line cremation system capability is an average 67.5 minutes. I like this article about modern crematoria: https://www.popularmechanics.com/science/health/a18923323/cremation/. Here it’s about 90 minutes, but 60+ minutes is also possible. Robert Jan van Pelt wrote: Irving argued the document was a forgery. But if it was, who would have made it? Obviously the Russians, Irving argued. If they had done so, with what purpose? Obviously to embarrass the Germans, he claimed. It is an unlikely scenario. “It may in general be said that no one ever forged evidence to deceive historians,” the prominent historian Geoffrey Rudolph Elton wrote in his Practice of History (1967). “The intention, nearly always, is to deceive contemporaries, and mostly in a court of law.” The problem with the scenario that the Soviets had forged the letter to stress the diabolical project of the Germans through inflation of the incineration capacity in Auschwitz is that the figures in the official “Statement of the Extraordinary State Committee for the Ascertaining and Investigation of Crimes Committed by the German-Fascist Invaders and Their Associates in the Oswiecim Death Camp,” issued in May 1945, were much higher than the figures in Bischoff’s letter. The Case for Auschwitz, p. 344. The attempt to prove the letter’s authenticity by some general remarks about forgeries is beyond ridiculous. Furthermore, the Russians often presented numbers that didn’t match and that Irving only implicated the Russians further points to the suspicion that the whole trial was staged. (c)The rank of Dr. Kammler is given wrongly: SS-BrigadeFuehrer und Generalmajor instead of: SS-BrigadeFuehrer und Generalmajor der Waffen SS. Such an error is not found on any other genuine document whatever. Good summary! 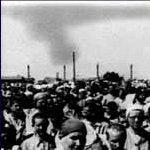 Also see Carlo Mattogno’s The Real Case for Auschwitz, pp. 434 f. for a more thorough treatment. Why Krema 1 is on that list knowing it was to be closed few weeks later, july 1943, if i remember ? Marley775 wrote: Why Krema 1 is on that list knowing it was to be closed few weeks later, july 1943, if i remember ? The 'Why?' is that the 'document' is as fake as a three dollar bill. What a tangled web they did weave when first they practised to deceive! Not to mention the absence of documents showing important muffle's refractory brickwork replacement and correspondance between Topf and ZBL regarding their rebuild that refute this alleged document of June 28th 1943. If, as van Pelt wants us to believe, 500,000 persons had been gassed and incinerated in crematorium II alone, it would have been necessary to rebuild the 15 muffles ([500,000]÷[15×2,000] =) 16 times over the period involved! Such an effort would have generated a torrent of documents, but there is no trace of anything like this in the copious exchange of correspondence between Topf and the Auschwitz ZBL. The extant documents do not even contain a hint or an indication in this respect. What is more, such maintenance work was not part of the Topf activities at Auschwitz Birkenau, something that has been established on the basis of the invoices. This material was actually used for repairs on the second crematorium oven at the Auschwitz main camp. Considering this rebuilding of the refractory brickwork of the two muffles, the ovens of this crematorium could have handled at best 16,000 corpses. Hence, the total number of corpses which could have been incinerated in the Auschwitz-Birkenau ovens is about (92,000+16,000 =) 108,000. This constitutes another confirmation of the fact that cremation of the allegedly gassed victims was technically impossible. another thing that bothers me are the 1) The exact # of minutes in a day 2) the cremated corpses are the exact # for 2 and 3 then 4 and 5. I like this article about modern crematoria: https://www.popularmechanics.com/scienc ... cremation/. Here it’s about 90 minutes, but 60+ minutes is also possible. bonniwell2923 wrote: another thing that bothers me ... the cremated corpses are the exact # for 2 and 3 then 4 and 5.
that part doesnt bother me, because crematorias 2 and 3 were built as mirrored images of one another, as were crematory buildings 4 and 5, including the number of ovens and the number of muffles per oven. the whole document reads like a theoretical, hypothetical estimate made by someone (perhaps sitting in the kremlin? lol), rather than an accurate observation based on e.g. several days' worth of operation and number crunching. Since the document's picture looks like a digital scan of an original document rather than a nuremberg format affidavit, does anybody know where (in which archive or museum) the original is kept?